Who's Writing that Schoolgirl Chainsaw Game? 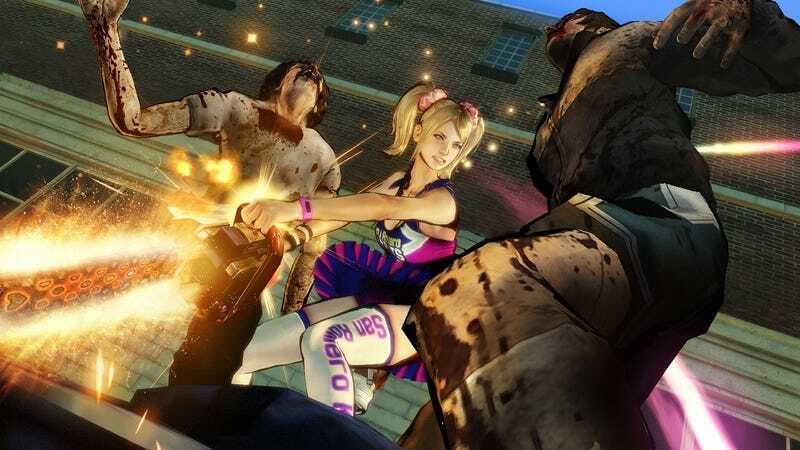 Lollipop Chainsaw, the up-and-coming zombie killing cheerleader game, is being designed by Japanese game developer Grasshopper Manufacture of No More Heroes fame. It's being written by a guy from St. Louis. Hollywood filmmaker James Gunn is penning the game—exciting when you think about the movies he's been involved with: Tromeo and Juliet, Slither, LolliLove, and the Dawn of the Dead remake. Gunn also worked on the Scooby-Doo movies, but nobody's perfect! The most important thing about video games is how they play, whether the basic mechanics are engaging. But a good yarn and some clever dialogue doesn't hurt. Warner Bros. is releasing Lollipop Chainsaw in the West in 2012.